Mastriano Mary Ann, 59 of Greenfield. Passed tragically on Saturday, February 2, 2019. Proceeded in death by her father Anthony sister and Susan Mastriano. Survived by her loving and only daughter Alonna “Lonnie” (Justin) Fisher. Proud Mimi of Alaina, Anthony and Mylah. Mary Ann is also survived by her beloved mother Delores (Robert) Walters, siblings Barry (Paula) Mastriano, Deborah (Patsy) Cardamone and John “Dirt” (Maria) Mastriano. Her best friend Lorraine Burns. Also survived by numerous nieces, nephews, family and friends. 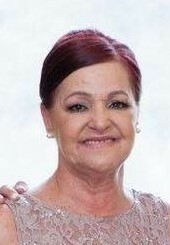 In lieu of flowers please make donations to https://www.gofundme.com/funeral-amp-memorial-service-for-mary-ann-mastriano. Friends will be received on Thursday, from 2-4 PM and 6-8 PM in the Edward P. Kanai Funeral Home 500 Greenfield Ave 15207. Funeral Friday 9:30 AM with Funeral Mass at 10 AM in St. Rosalia Church.